Let's try to focus on the positives, shall we? The Buccos are in the playoffs for the first time in 21 years, and that's more than cause for celebration. I know this is a Steelers blog, but I'm pretty stoked for #BUCTOBER and may have to brainstorm a recipe in its honor. Win or lose, Brown's performance deserves a treat. Immediately following the incredible back-of-the-endzone TD catch, Kathy texted me "Antonio Brownies!" You got it! I've never been a big brownie fan, but Kathy makes awesome peppermint patty brownies at Christmas time that I've always loved. I decided to try a similar method as she uses for this - bake, then top with candy for the last 10 minutes of bake time. 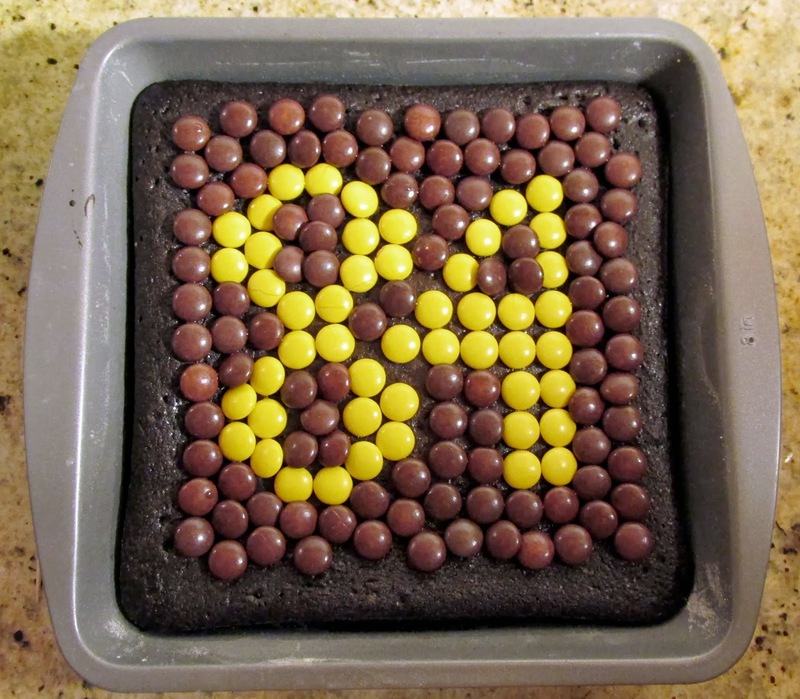 I thought I'd top our Antonio Brownies with Reese's Pieces. Since the Reese's Pieces won't melt as quickly as peppermint patties, you can plunk (or nicely arrange) them on top earlier in the process. Thanks to the Creative Director for the #84 design concept. 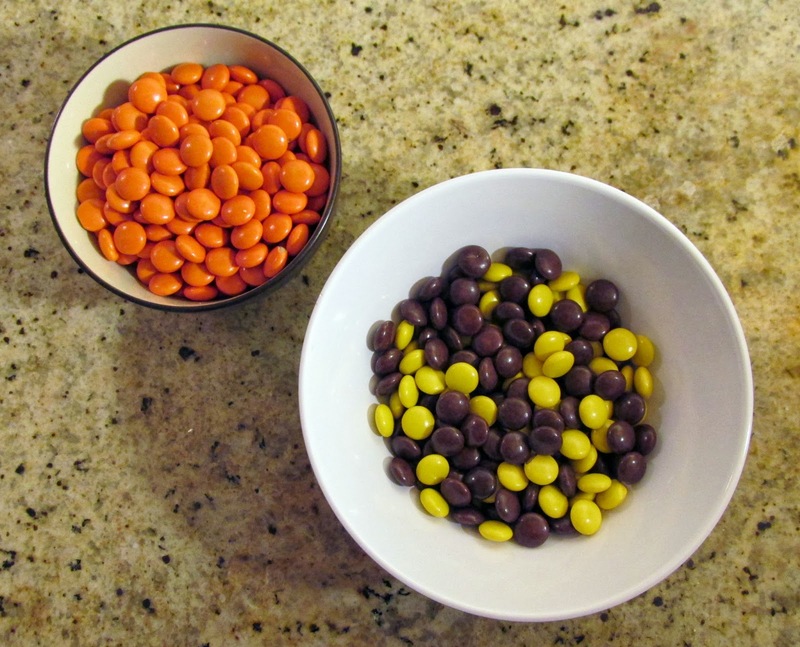 And yes, I picked every single orange one out. Call me crazy, because I guess I am. Preheat oven to 325 degrees. Grease and flour 8 inch square baking pan. Whisk eggs in large mixing bowl until light and fluffy. Add both sugars and cream together with hand mixer on medium speed. Add remaining ingredients and beat on medium speed until combined. Pour batter into baking pan and bake for 20-25 min. Carefully remove from oven and top with candy. Bake for another 25-30 minutes, or until a toothpick comes out clean from center of pan.